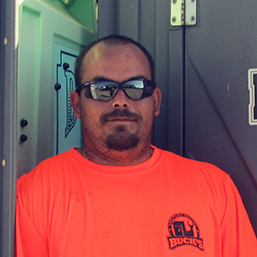 Buck’s Sanitary was started by the Bucholz family who fabricated their toilets from fiberglass in the late 70s. Buck’s is locally owned and operated by Scott & Lisa Weld. In April 2012, they purchased the business from Waste Connections. Scott & Lisa are not new to the toilet industry as they were the previous owners of Buck’s from 1995-1999. 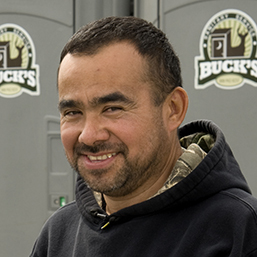 They are excited about being back in the portable toilet industry and will carry their dedication to customer service and their enthusiasm for the market into their current ownership. They are looking forward to serving your needs – be it a special event unit, a construction unit, or a permanently set unit. We’ll see you soon! Scott | Owner. Scott was “born into” the solid/liquid waste industry. He was riding on the back of garbage truck when he was 6 years old and digging up septic tanks as a teen. Scott loves to work. If he’s not working at work, he’s working at home and thinking of work. He has a knack for seeing the big picture while still managing all the pieces. He expects a lot from his employees, but not any more than he is willing to give himself. He is generous and loves working beside his family in the business. Lisa | Owner. 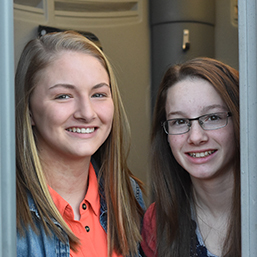 Growing up, it was never her dream to own a portable toilet company, but she loves it. 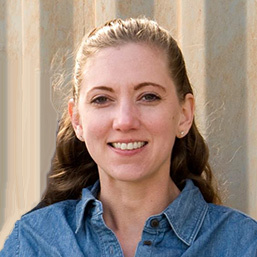 She is first, a mom, and strives to create a family culture at Buck’s. She considers the employees her adopted children. 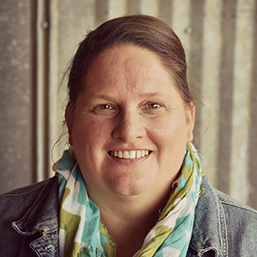 Lisa’s brain thinks in colors, not numbers, and she enjoys exercising her creativity in the marketing and design projects. She’s in charge of planning all the fun stuff (according to her). Outside of work, there’s a good chance you’ll catch her with paint in her hair as her hobbies include refurbishing furniture and decorating. Sten | Shop Supervisor. 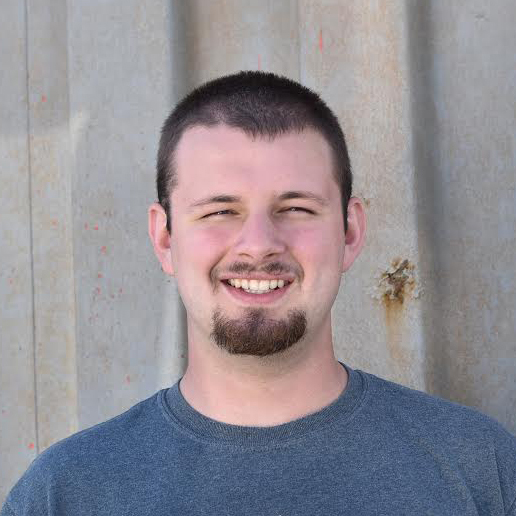 Sten is the son of Scott & Lisa and is enrolled in the LCC diesel mechanic program. He is a new home owner and is hopelessly addicted to Craigslist and Copart. From a very young age, Sten was tinkering on things. 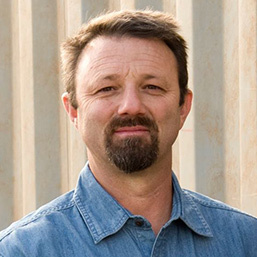 His passion is 1994 – 1997 Ford Powerstroke trucks (he’s owned 8 of them) and farming. He really wishes that he was born into a farming family instead of portable toilet family! He maintains our fleet and is our lead person at the Oregon Jamboree event. When not at work, he enjoys restoring pickups, riding at the Dunes; snowmobiling & skiing. M&M | Special Teams. M&M are the daughters of this crew. They “get” to deliver toilets before school, answer the phones during the summer, and you may even catch them servicing toilets at events. They are exasperated with all the “toilet talk” that happens in their family and they beg for a dinner, free from any discussion about Bucks. Their plan is to graduate from College in something that has no practical application to the family business. Go for it, girls! Summer | Customer Service. Summer has been working in the waste industry approximately 12 years, much of it at Bucks. When she was a child, her heart was set on being a ballerina or an artist; she’s not really sure what happened. Her favorite things are traveling, fishing, and camping with family. When she has quiet time, she likes to watch movies and eat salt and vinegar chips; even though she thinks they smell like dirty feet. 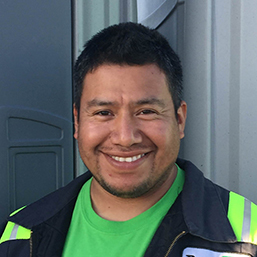 Adolfo “Monkey” | Senior Route Driver. Monkey was born in Oaxaca Mexico. He is the jokester of our group. He has worked at Bucks for 15 years and he loves that everyday is different. He enjoys taking pictures, especially of sleeping trainees and gets the award for the most texts sent in a month. He has 3 daughters and loves to cook – quite often sending us mouth watering pictures of his homemade creations. JJ | Office Manager. If you call the office, you’ll more than likely speak to JJ. He graduated from Willamette High School in 1996 and is an avid Duck fan. He is the father of 4 kids, so he spends a fair amount of time on the sidelines, cheering them on at their various sporting events. He enjoys fielding questions from our diverse customer base and solving dilemmas. In his spare time (who are we kidding) – he likes to hunt/fish. He loves Dr. Pepper and he despises eggs in any form. Chekita | Yard Supervisor. Chekita is a cleaning fanatic and he prefers working on his own. He steam cleans every restroom when it is returned to the shop, sometimes up to 100 per day. Before it’s loaded on a truck and taken to your site, he preps the unit(s) with fresh chemical and paper. He loves action movies that feature John Claude Van Damme. He’s a self-described night owl and hates housecleaning. 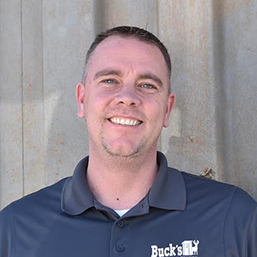 He has 2 children and enjoys the flexibility of schedule that Buck’s allows him. Tommy | Route Driver. 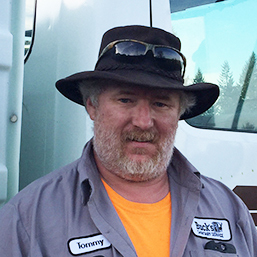 Tommy was raised in Albany and previously worked in the logging industry. He is married and has 3 kids. If he could go back in time, he would want to travel on the Mayflower. According to Tommy, his 12th great grandfather was one of the signers of the Declaration of Independence. He would love to go to a NASCAR race and is a fanatic about keeping a clean refrigerator. Julio | Route Driver. 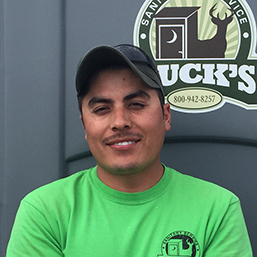 A former landscaper, Julio has worked at Bucks since 2013. Everyone wants to partner with him on special events because he is so quick and thorough. We’re not certain how he gets things done so speedily, all with a big smile on his face. Julio has learned English using the Rosetta Stone program and was our Buck’s bowling champion. His favorite part of the job is driving the new Buck’s truck. He would love to drive a big rig someday, but would happily settle for a Dodge 3500. Josh | Route Driver. Josh is a true redneck. He likes trucks, muddin’, huntin’ and fishin’. He’s married to his high school sweetheart and they have three little girls. When he’s not sporting his Buck’s gear, you’ll find him in camo or UofO shirts, and you guessed it – listening to country music. Yee Haw! He prefers the mountains to the beach although his dream vacation would be a trip to Hawaii. Sky diving is on his “bucket” list.